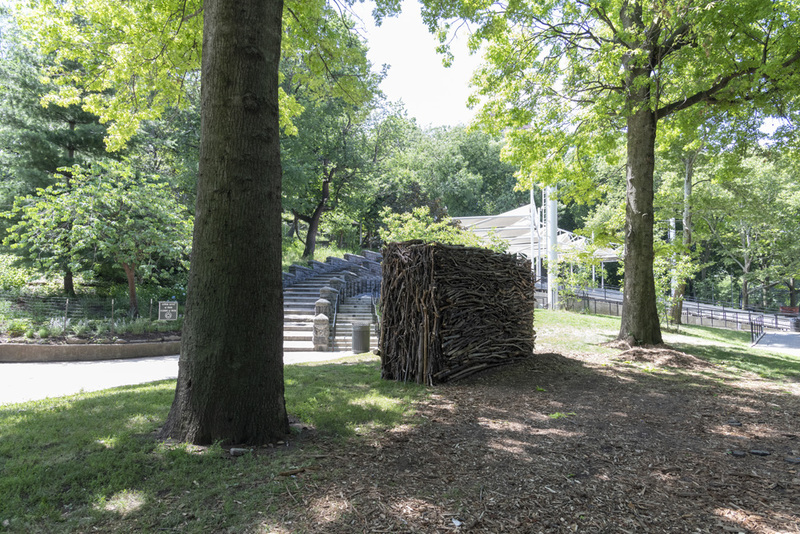 Maren Hassinger: Monuments consists of eight site-specific sculptures installed for approximately one year in Marcus Garvey Park, beginning in June 2018. 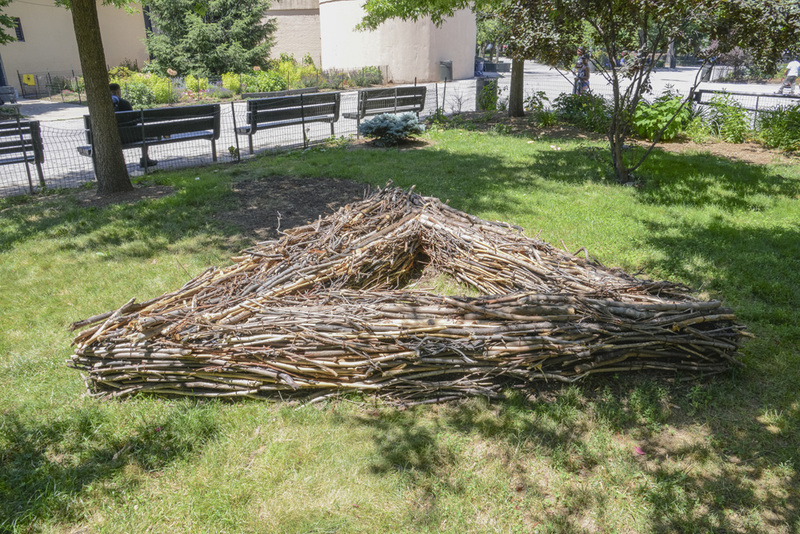 Hassinger, who has been associated with the Studio Museum since 1984, is a Harlem-based multidisciplinary artist whose work, spanning performance, installation, sculpture, and video, are often meditations on nature and community. 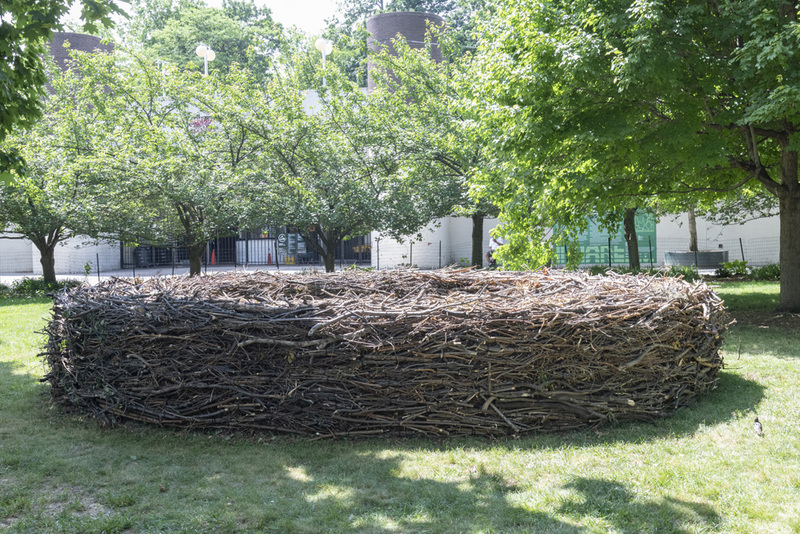 Working in the tradition of her earlier projects such as Wreath (1979), Hassinger uses branches to create forms that respond to aspects of the park’s landscape—an outcropping of rock, a triangle near flower beds, an oval near the pool. 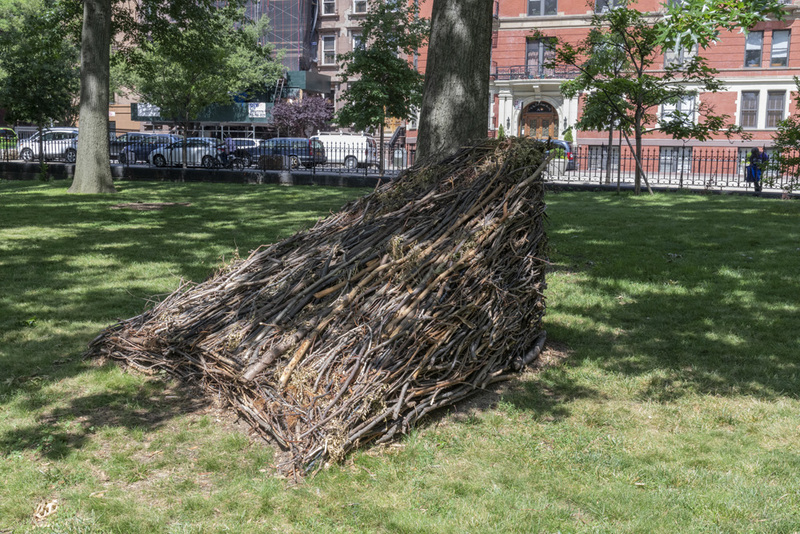 The artist created the works with the assistance of volunteers from the Studio Museum’s Teen Leadership Council and Expanding the Walls program, so that Monuments is a project made in Harlem and for Harlem. Marcus Garvey Park is located along Madison Avenue between 120th and 124th Streets. 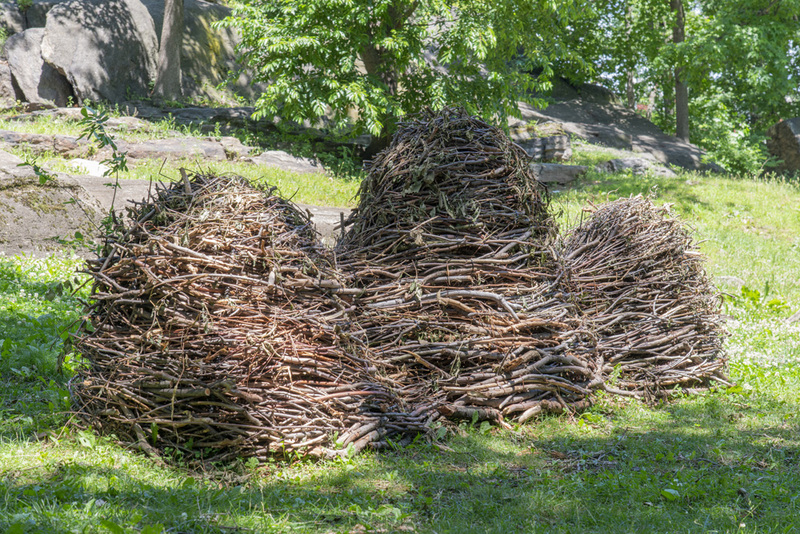 Enter at any entrance to view Maren Hassinger: Monuments. 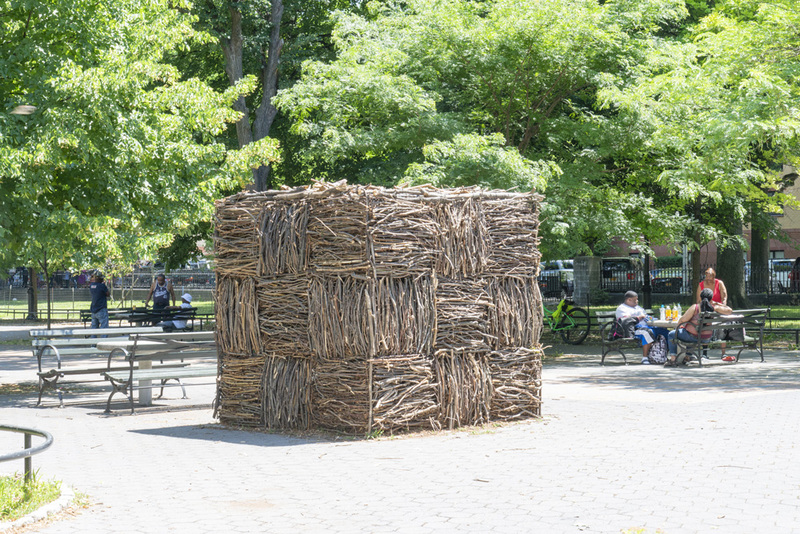 Maren Hassinger: Monuments is organized by Hallie Ringle, Assistant Curator, and is an inHarlem project presented by The Studio Museum in Harlem in partnership with the Marcus Garvey Park Alliance and NYC Parks. 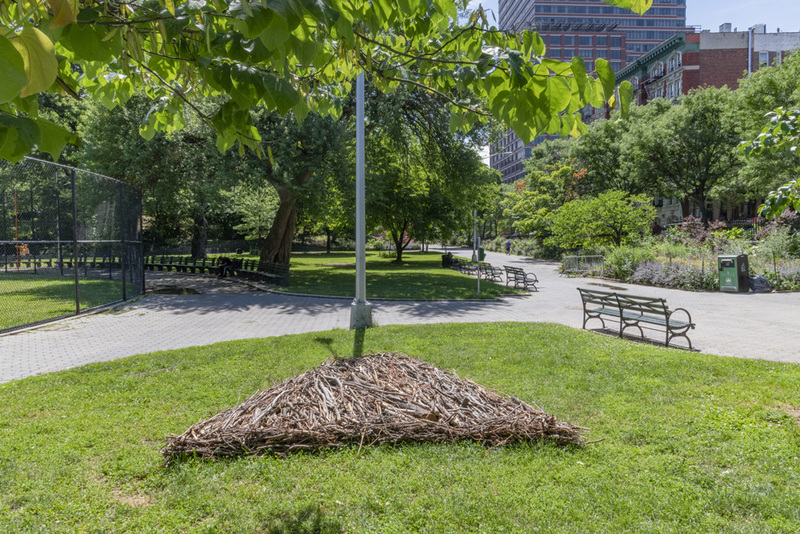 Funding for Maren Hassinger: Monuments thanks to Amy J. Goldrich. inHarlem is made possible thanks to Citi; the Stavros Niarchos Foundation; William R. Kenan Jr. Charitable Trust; Rockefeller Brothers Fund; and The Shelley & Donald Rubin Foundation. 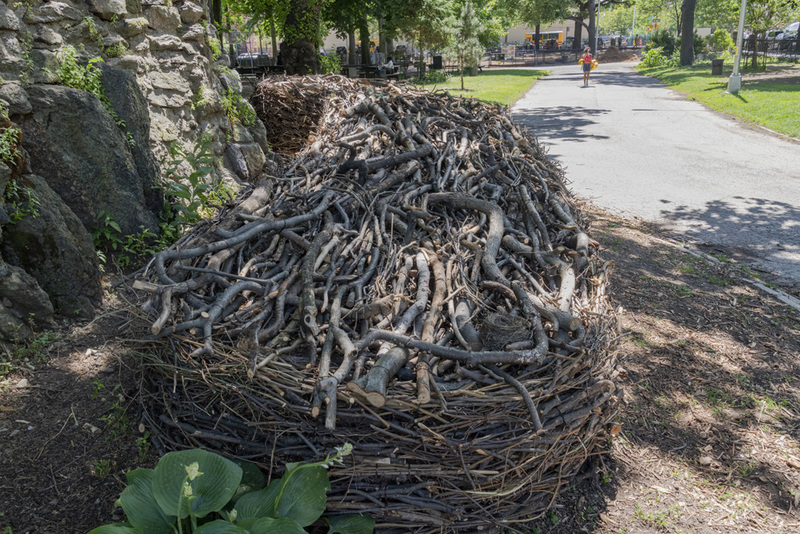 Additional support is generously provided by The New York City Department of Cultural Affairs; the New York State Council on the Arts with the support of Governor Andrew Cuomo and the New York State Legislature, and the New York City Council; and The Andrew W. Mellon Foundation.